OC87 Recovery Diaries and Philadelphia public television station WHYY teamed up with first time filmmakers from area mental health and wellness organizations to create original, short films that detail journeys of recovery and transformation. 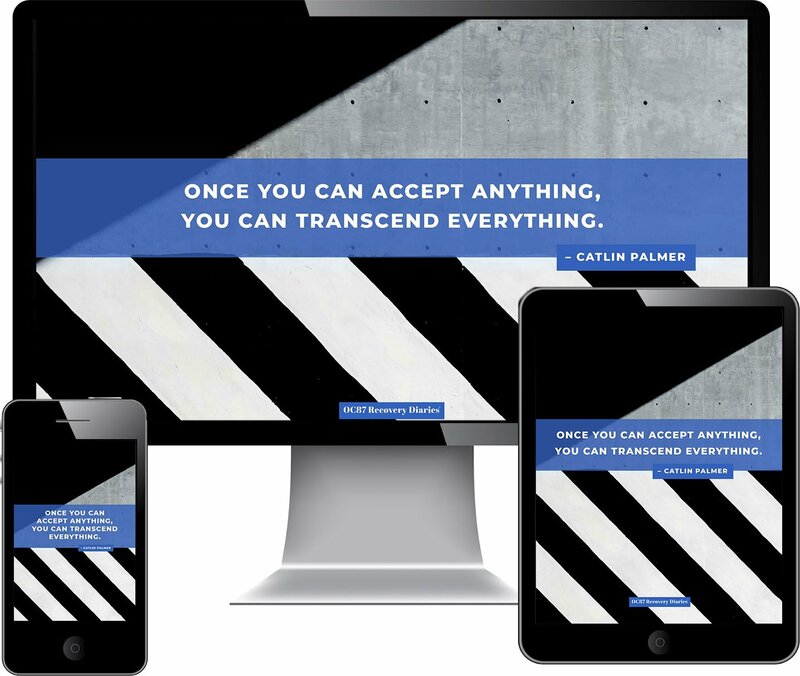 We are thrilled to present the first of this year’s four projects: Open Eye Portraits: My PTSD Survival Story, by Brenda Lewis and Sheila Hall Prioleau, from RHD United Peers. Brenda Lewis is an artist. Her works are filled with color and energy. She is a thoughtful woman who chooses her words, and colors, carefully. She is also in recovery from PTSD — the by-product, she says, of an unstable childhood. When she was young, she was placed in a series of foster homes that were less than healthy. Open Eye Portraits details the role that “scribble art” plays in her recovery. This therapeutic art form starts with an emotional reaction that is literally scribbled onto a blank piece of paper. That initial scribble becomes the foundation for a piece of art. 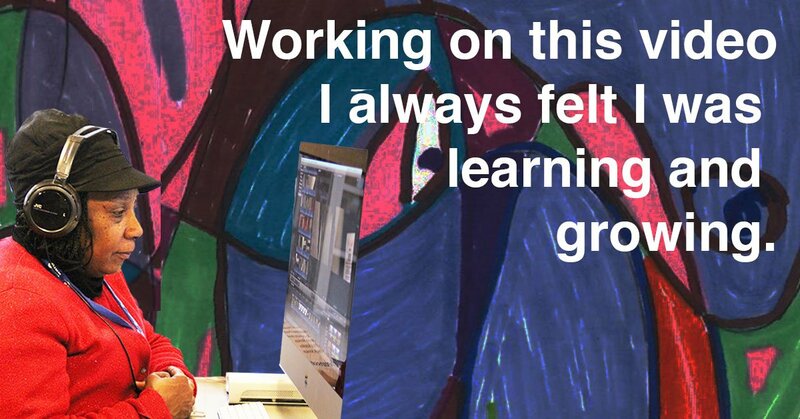 For Brenda, this art is a process that encourages creativity, self-exploration and discovery. Sheila Hall Prioleau is the director of RHD United Peers, an organization that supports people in recovery from mental health challenges in a community inclusion program staffed by Certified Peer Specialists. 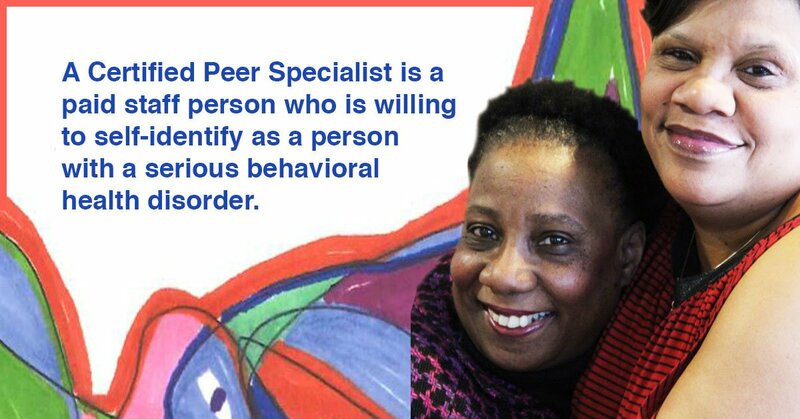 A Certified Peer Specialist (CPS) is a paid staff person who is willing to self-identify as a person with a serious behavioral health disorder (mental illness, substance use disorder, or co-occurring disorder) with lived experiences. This was certainly the case with the documentary. With the support of professionals at WHYY, Sheila and Brenda learned filmmaking and editing so they could tell their story themselves. The first time filmmakers were in charge of shooting, editing and structuring the video. The documentary tells the story of Brenda’s journey of trauma and recovery – and how art continues to play a key role in that journey. What I know of my childhood, roughly of the age of six, after being separated from my mom, due to no fault of her own, she was very sick. But then after that, it got bumpy. The darkest moments were being put in homes where people didn’t care. They just wanted the money. Those were my darkest moments, the stuff that went on in those homes, that I thought I would never get out of. I got an official diagnosis in 2010. I felt really happy when they explained it to me. I didn’t understand the “post-traumatic” — I didn’t understand that, but it was post traumatic stress — I knew it was that. Oh yeah, I really understand that. In 2002 and 2003 I was going through a really emotional, spiritual journey. I couldn’t really find my spiritual journey with God, my higher power. No matter what I tried, I just couldn’t see. I was very angry. I was in a very very angry place about God. And so one of my therapists decided to help me get in tune with that. What she asked me to do was to the scribble emotions. And we basically started off just scribbling. Just scribbling and putting it on paper how I feel. It allowed me to find myself and be able to have a voice. Now I can talk about God, I can even read my bible now. You know, I’m singing about God, I’m praising Him and just getting to have a better relationship with Him. 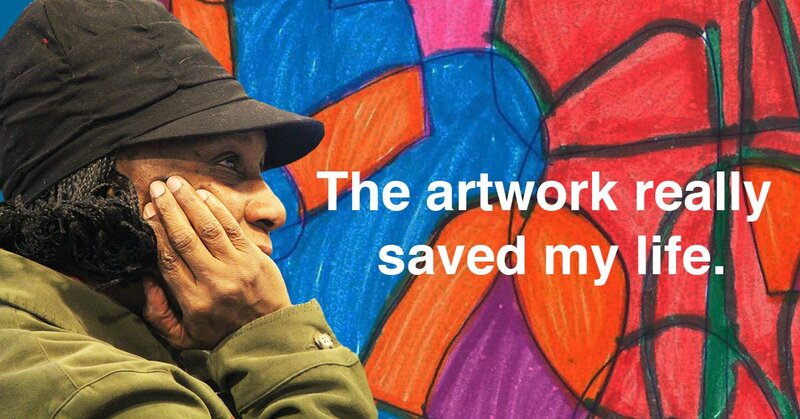 Yes, the artwork really saved my life. It actually saved my life. Right now, I’m so grateful. I’m so grateful. And sometimes it’s hard for me to say how grateful I am, cause I’ll start crying. I get very emotional. My work shows how I feel about it, after we get a chance to talk about it. United Peers helped me, supported me, and I am now a Certified Peer Specialist. I’m a supportive staff person and I’m also a resource coordinator to help other peers find resources to help them along this journey so they won’t have such a difficult time. 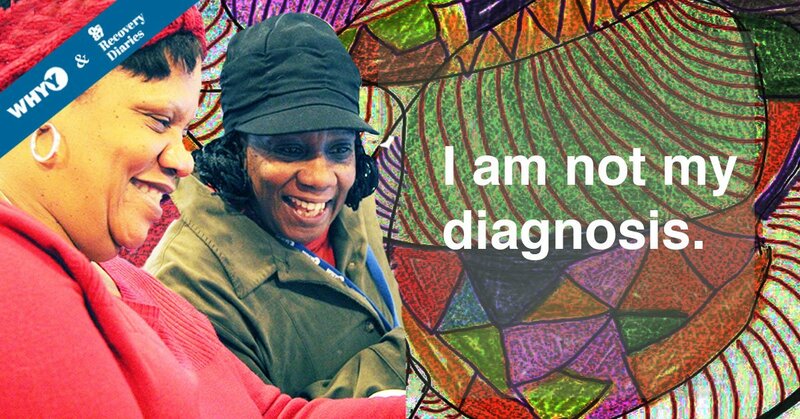 My journey is reaching out to individuals and services that support children that have been in the system, using my artwork to help them be able to illustrate their journey.